Home » foreclosures » Could Housing Crashes Change Voter Preferences? The election of President Trump in November 2016 came as a surprise to many. Analysts attributed Trump’s election to various factors, such as hostility towards immigrants and racial minorities in white, working class communities that formerly supported Obama and Russian meddling in the election. However, an underexplored factor is the role that the recent housing downturn may have played in the election. There is research showing that Midwestern and Rustbelt counties with a higher percentage of underwater homes (i.e., owing more than the home is worth) were more likely to vote for Trump in 2016 than Romney in 2012. This suggests the question, how might housing downturns affect elections? Our research offers insight into this relationship by showing that neighborhoods harder hit by foreclosures in the Phoenix region between 2006 and 2010 were more likely to exhibit anti-incumbent voting behavior—a dynamic that might also have been instrumental in helping President Trump get elected six years later. We arrived at this discovery by putting together a rich data set on foreclosures, voting outcomes, and neighborhood conditions to explore the relationships among neighborhood foreclosures, voter turnout, and partisan shifts in several races. These included precinct-level election results from Maricopa County, which contains Phoenix, in the 2006 and 2010 Arizona gubernatorial and U.S. Senate races. We then used statistical methods to investigate two ways that housing downturns may relate to political shifts within neighborhoods: 1) through declines in voter turnout among more liberal leaning African Americans and Latinxs, who were more affected by foreclosures and faced higher barriers to voting, and 2) through a punishment mechanism, where voters turned against incumbent political parties for the degrading effects that foreclosures had on their families and communities. Although we did not find clear evidence linking a decline in liberal voter turnout to foreclosure, our results showed strong evidence of anti-incumbent voting behavior in neighborhoods harder hit by foreclosures. An increase of about 50 foreclosures for every 1,000 homes within a neighborhood was associated with a one-percentage point decline in the incumbent political party’s share of the vote from 2006 to 2010. This association held even after comparing neighborhoods with similar demographic and socioeconomic conditions. Our findings suggest that housing and housing-related economic issues may be overlooked factors in explaining voting behavior. Neighborhood conditions, like concentrated foreclosures, may relate to state and national election partisan shifts, like those that swept Trump into the presidency in 2016. Far more research is needed on the link between housing and urban development and electoral politics. If housing distress affects voting and, in some cases, elections, do voting changes ultimately influence state and local housing and development policy? Does a housing distress political feedback loop dynamically link a neighborhood’s current housing distress to its future housing distress through state and national partisan shifts (Figure 1)? 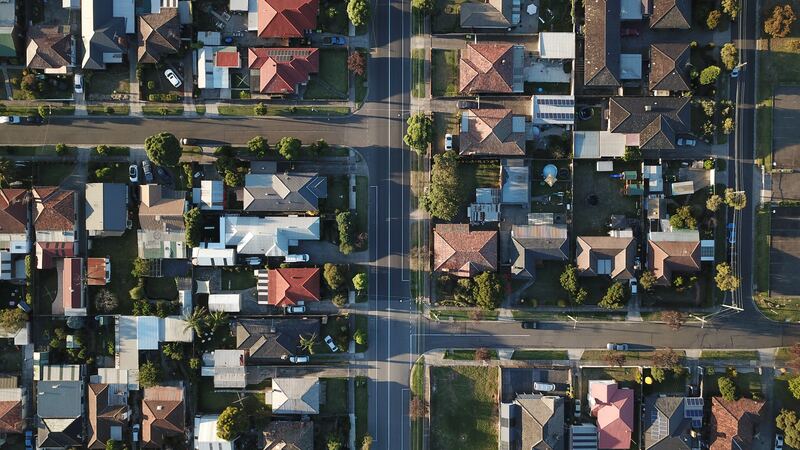 More research is needed to determine if and how partisan shifts ultimately impact state and national housing policy and local planning, which may prolong or shorten the effects of neighborhood housing crises or shape neighborhoods’ vulnerability to future housing crises. Read the UAR article here. Deirdre Pfeiffer is an associate professor in the School of Geographical Sciences and Urban Planning at Arizona State University and a member of the American Institute of Certified Planners. Dr. Pfeiffer is a housing planning scholar, with expertise on housing as a cause and effect of growing social inequality and the role of housing planning in meeting the needs of diverse social groups. She holds a MA and PhD in Urban Planning from UCLA. Jake Wegmann is an assistant professor in the Community and Regional Planning program in the School of Architecture at the University of Texas at Austin. His research is at the intersection of housing affordability, real estate development, and land-use regulation. He received his doctorate from University of California at Berkeley in 2014. Prior to academia he worked in for-profit and nonprofit affordable housing development in Denver and San Francisco. Alex Schafran, PhD, is a lecturer in Urban Geography at the University of Leeds. A planner, geographer and urbanist, his research focuses on the contemporary restructuring and retrofitting of urban regions, with a particular emphasis on the changing dynamics of race, class and segregation across space and place. He spent a decade as an immigrant rights and housing activist in California and New York before becoming an academic.